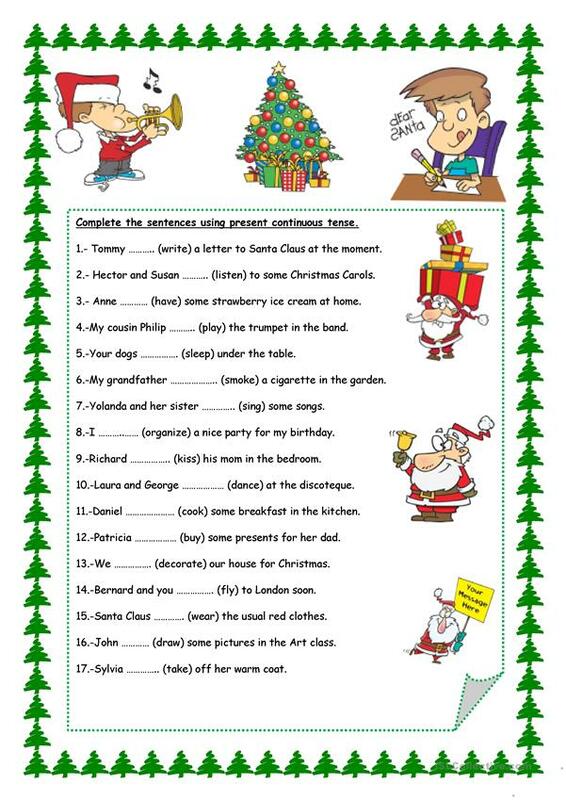 Some easy exercises to revise present continuous tense. The present printable, downloadable handout is meant for elementary school students and students with special educational needs, learning difficulties, e.g. dyslexia at Elementary (A1) level. It is aimed at teaching Present continuous (progressive) tense in English, and is useful for strengthening your pupils' Reading and Writing skills.